Veröffentlicht am 30. November 2015 um 11:34 Uhr. Åsa Romson speaks to us about her expectations for COP21. 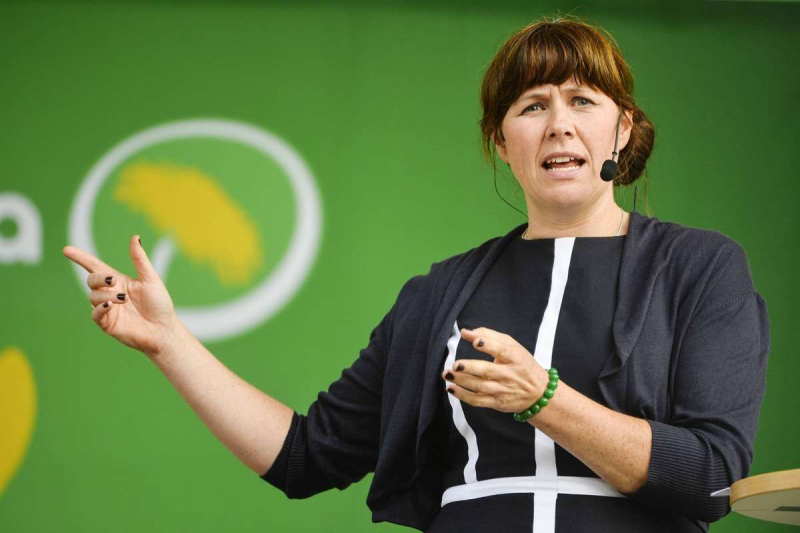 She is Sweden’s Green Minister for the Environment and the Deputy Prime Minister, belonging to our member party Miljöpartiet de Gröna. 1. Governments have been preparing this COP for many months, on an international level. Do all these preparatory meetings make you feel optimistic about COP21? I’m optimistic. We have never before had so many solutions to this problem and never before had so many commitments. It is a major achievement that nearly 180 countries have now presented their contributions before Paris. It is clear from the preparatory meeting on a political level: countries want an agreement. 2. What needs to happen in the next eleven days to achieve an agreement that will limit global warming to 2 degrees? It will be very important that the negotiations during the first week successfully reduce the number of brackets and the number of outstanding issues, and that ministers are focused and willing to work hard to find common ground. However, we do not need just any agreement, it needs to be a durable agreement that binds countries to more ambitious action every five years. Actions that will, over time, limit warming to as far below two degrees as possible! 3. What are the main obstacles to a binding and ambitious agreement? Time will inevitably be a scarce resource at COP21. Negotiations need to change gear and countries must be prepared to compromise in ways we haven’t seen in previous negotiations. At the same time we must succeed in maintaining a fair and balanced agreement that will get broad support. 4. What can we expect from the first week of the Conference? We can expect intense work on all issues. Ministers have expressed a clear mandate for negotiators to produce a much more streamlined text before the second week. 5. What is the aim of the Swedish Government for COP21? The main aim for us is a durable agreement that keeps global warming as far below two degrees as possible. It needs to a be a fair agreement that binds countries to more ambitions action. This news item is part ofthe EGP’s daily COP21 morning briefing.